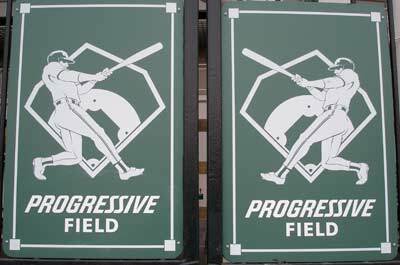 The most notable new feature at the ballpark for the 2008 Cleveland Indian's season is the name change to Progressive Field. Since the ballpark opening in 1994, it was known as Jacob's Field. 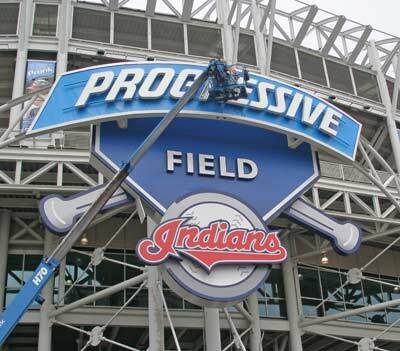 As of January 11, 2008, it was renamed to Progressive Field. 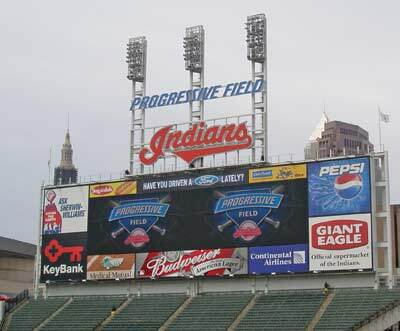 Of course the scoreboard has been changed to reflect the new name but you will see the new name all over the ballpark. The last letter, the "R", was ceremonially added to the main marquee sign at the corner of Carnegie and Ontario. 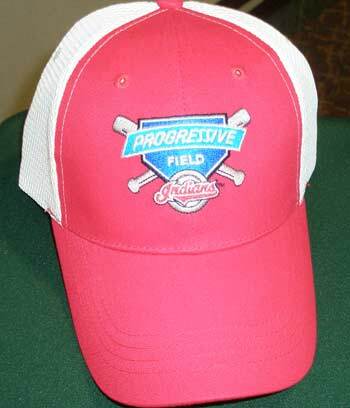 You will also see the Progressive Field name on some of the merchandise available at the ballpark as witnessed by this Cleveland Indians Progressive Field baseball cap. A variety of new Tribe products will be available to the fans. 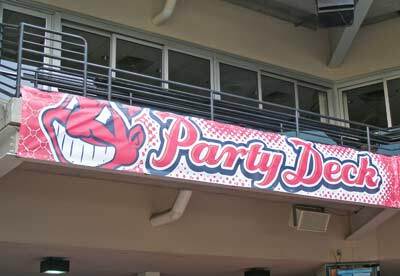 With almost 50% of the visitors to the ballpark being female, the Cleveland Indians have selected a prime location, Section 142, for a special Tribe Pride for Her team shop. Featured items include t-shirts, hand bags, hooded fleece tops and lots of Bling! You will also see items geared toward kids and the new home alternate uniforms will be featured. A very popular item will be the oversized foam beverage fist to keep your drink cold. 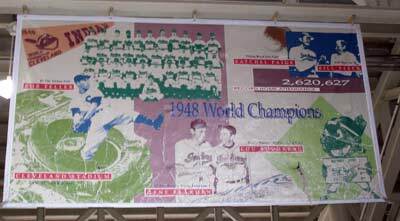 Of special interest, 2008 is the 60th anniversary of the Cleveland Indians World Series Championship in 1948. 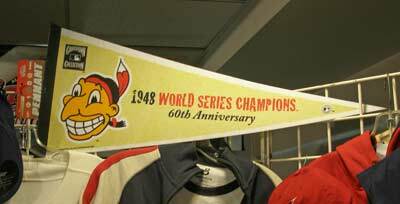 Look for pennants and other items to be available for the celebration. Hopefully, 2008 will resemble 1948 in many ways. 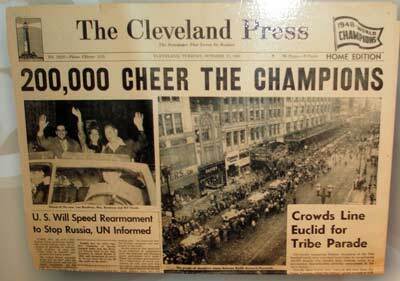 You will also see items referencing the Tribe's past successes in the new Champions Suite. The Champions Suite has a great mid-field view and can accommodate up to 60 guests. 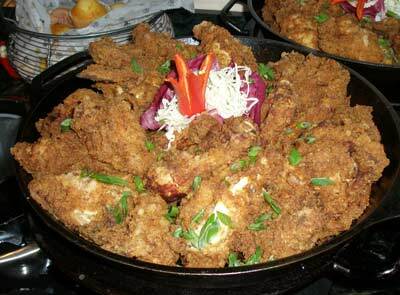 The upscale menu, flat-screen TVs, business presentation equipment and more make it a great setting to host an event or close a deal. The atmosphere is geared toward success with newspaper covers of past championships on the walls along with other signage. The Party Deck located in the right field corner of the ballpark lets your group watch the game and enjoy an all-you-can-eat picnic at the same time. And don't be surprised to see Slider or a few of his friends show up. 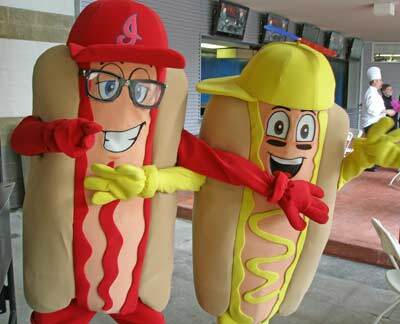 Last year's 5th inning Sugardale Hot Dog race proved so popular with the fans that it has been expanded this year. New personalities for the 3 mascots have been developed. 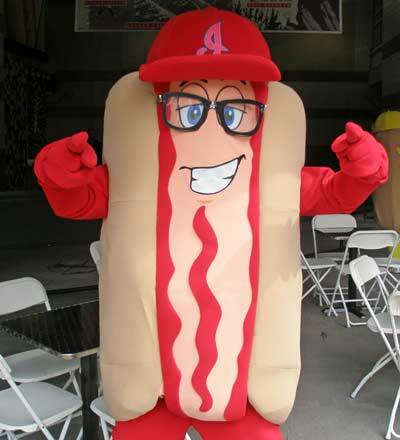 Ketchup is still the rebellious 'cheater' and now sports glasses like Wild Thing Rick Vaughn in the movie Major Leagues. 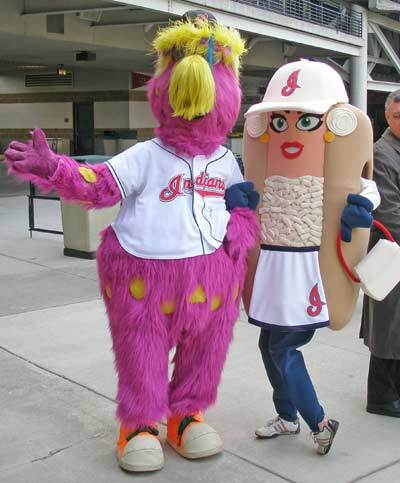 Mustard is still the All-American boy who has to contend with the shenanigans of his fellow mascots. Then there's Onion. What can we say but that she is a diva. Sometimes she appears to prefer looking good and strutting her stuff to competing in the race - but it's all part of her plan. 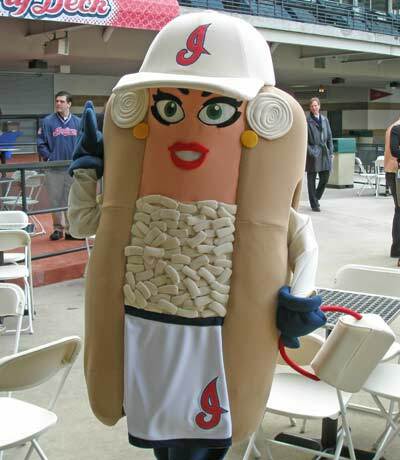 Her crush on Mustard irritates Ketchup. And don't worry. Slider is still around. Opening Day is again a sell out and will feature a special tribute as Andre Hampton, a National Guard Corporal and Progressive employee, will throw out the ceremonial first pitch live via satelite from his base in Kuwait. 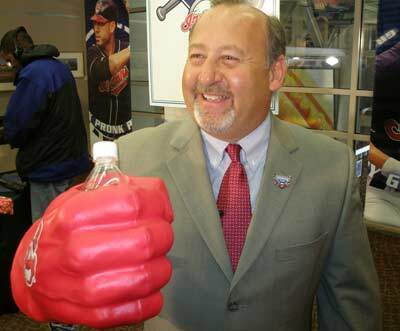 2008 looks to be a great year for the Cleveland Indians and their fans. 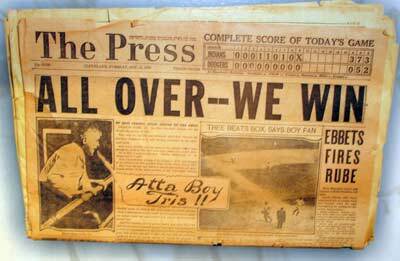 Let's hope some of the 1948 magic rubs off on this team in this anniversary year.